This could be handy to have when you have friends and family over for dinner. 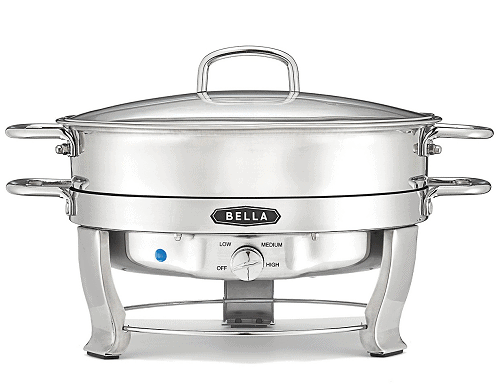 Macy’s has this Bella 5-Qt. Stainless Steel Electric Chafing Dish for $35.99 when you use coupon code VETS at checkout. That is down from the normal price of $59.99.